Jeff Vande Zande has had success with small press publishing, an experience which has helped him positively adjust his expectations about success. Jeff discusses that along with his thoughts on book signings and reaching your target audience. It’s a novel about poetry, Theodore Roethke, fathers and sons, and coming of age in America as an artist. It’s the story of a young man who comes back to his hometown after an absence, only to find that he hasn’t grown up as much as he thinks. Denver Hoptner graduated from the University of Michigan with a degree in writing poetry. He returns to his boyhood home in working-class Saginaw, Michigan, and discovers just how little the world of work cares about his degree. He struggles, too, to come to terms with his widower father. After he hears that there’s been a fire in the attic of poet Theodore Roethke’s boyhood home, Denver commits himself to saving the historical residence, even when no one else seems to care. It’s in action that he finds his true poetic self. I didn’t really have luck with agents. I received a few letters that said something along the lines of “Beautiful writing, but not sure how to market this.” In my experiences with smaller presses, I just found that the editors were more interested in the “beautiful” part and didn’t worry so much about the marketing part. My experiences with small presses have been positive, if not overwhelmingly lucrative. I suppose getting published from a small press is “traditional” publishing, just on a reduced scale. So, yes, all of my books are traditionally published, but all from small presses. Most successful has been the face-to-face stuff, especially in a non-traditional setting. 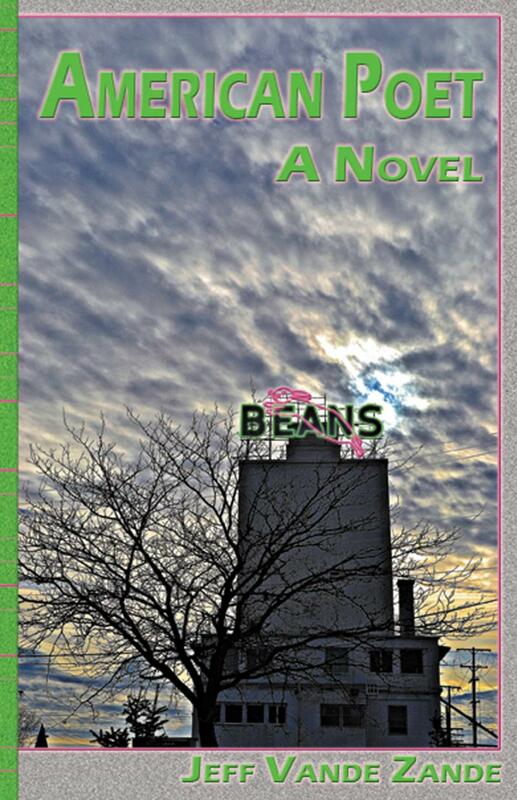 I’ve done book signings at art shows and at farmers markets in Saginaw, Michigan, and, since my book is connected to Saginaw, it’s done well . Interestingly, I don’t do very well when I do book signings at bookstores. I think traditional “book” people are suspicious of signings, especially by an unknown writer, but in a non-traditional setting, I’ve done very well. I also did a campaign where I contacted every library in Michigan to tell them about my book. That moved a few books, too. Winning an award helps. My book, American Poet, won the Stuart and Vernice Gross Award for Excellence in Writing from a Michigan Author. That was good publicity. Of course, I don’t know if you can call winning an award a “marketing technique.” On the whole, I find marketing to be much more work than writing the book. I really don’t bother with bookstores anymore. On the whole, they don’t market their signings very well. People walk into the store, see me sitting at a table, and they look at me like I’m doing something dirty…like I’m sitting there with spleens for sale. I find in a bookstore I tend to sell one book an hour, and that’s just not worth it. 6. If you could do one thing differently in publishing your books, what would it be? If I could, I would go back and lower my expectations so I could have enjoyed the whole thing more. It took me four books to finally get realistic expectations. What I mean is that a writer from a small press or through self-publishing should be extremely proud if he or she can sell 500 books in the first year. None of my books have done that so far, but American Poet is on the way to doing it, and I’m finally enjoying it. I think when my first novel came out from a tiny little press, I had delusions of 1000 copies selling in the first year. It ended up taking three years to sell 500 copies. Because I had unrealistic expectations, I didn’t enjoy the process or the fact that there were people at least buying the thing! 7. Indie authors face the challenge of marketing their books without the resources of traditional publishers. What advice do you have for an indie just starting out? Get creative. Think of connections and audiences for the book. I wrote a book called Threatened Species, which was about a father about to lose a son to divorce. It also had a lot of fly fishing in it. Because of that, I was able to market to fly fishing shops and bookstores that specialize in angling books. That fly fishing angle helped me sell some books. So, get creative and work your book’s angle. Just started a new novel, another fly fishing one. Also, I’ll soon be adapting American Poet into a feature-length screenplay for a local filmmaker who wants to shoot it. Michigan setting with literary sensibilities. I enjoyed the interview, especially some of the advice on marketing angles for indie books. I have two indie books out now and struggle to market online. I agree about leaving out bookstores. A waste of time and lots of energy too.